OLD men are trapped between a crowded cemetery ahead and a graveyard behind, populated by memories. By the time a man has reached the age of 90, determination has deteriorated into disappointment, reflection deconstructed into regret. No, this is not about Pakistan. Although it could well be. 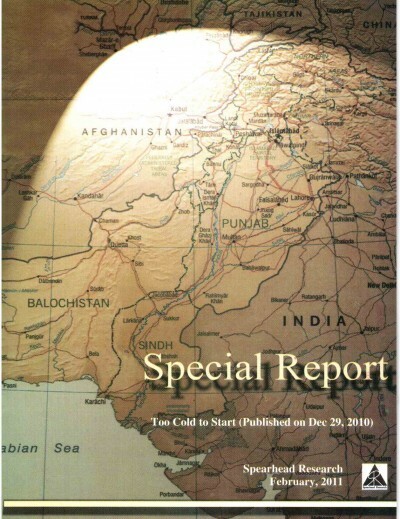 It is in fact about India, written by one of its most consummate diplomats K.S. Bajpai. He represented India as its ambassador to our country (twice), to China and to the United States, before retiring as secretary external affairs. He possesses therefore every credential, every qualification to be ignored by the right-wing BJP government. In turbulent times like this, it is wise to stay silent. The suave Mr Bajpai has read enough mythology to recognise that all governments — elected or unelected, civilian or military — behave like the legendary demons who performed endless penances, were granted boons by the devas, and once in power became so insufferable that Vishnu had to appear in various avatars to re-establish order on earth. The penances of modern politicians are of a shorter duration, usually for the duration of the run-up to the general elections. Having secured the boon of governance, they neglect their responsibilities and behave with intolerable arrogance. Eventually, they attract the wrath of the forces who feel themselves responsible for re-establishing law and order. Over the past few months, the country has seen constitutional boundaries being redrawn, battle lines etched in ink, pillars of state transformed into battering rams, their heads butting each other. Once again, the railings outside the Supreme Court are being stormed, this time from within. In turbulent times like this, it is wise to stay silent. It is wiser still to recall history. The Supreme Court records contain an affidavit submitted by a concerned citizen stating that on the morning of Nov 28, 1997, “instigated, supported and aided by the leaders of the Pakistan Muslim League (N) party then in power, legislators, party members and street activists of the party stormed the Supreme Court of Pakistan”. That affidavit was signed by the late Ardeshir Cowasjee, a columnist who remonstrated regularly on these pages. Twenty years later, the only change Cowasjee would find is that the Supreme Court has removed Nawaz Sharif. What has not changed is Sharif’s determination to use parliament to emasculate the judiciary. In today’s maelstrom, in which judicial orders have taken on the properties of social indictments and edicts run camouflaged as doctrines, is confrontation the only solution? Is activism the only answer — whether extra-parliamentary, extra-judicial, extra-military, or even extra-civilian? Is amputation the right cure for our social cancer, is beheading the only panacea for a migraine? What then is the solution? Mr Bajpai ends his requiem for India with a plea: “I wish I knew what to do about it […] Will somebody say how?” Despite his age and his sagacity, he makes the mistake all of us fallible voters do. We assume that someone else will come to save us from ourselves, some messiah prepared to suffer the crown of thorns to redeem us from the sins we commit against each other and against our country. In Pakistan, we are reconciling to the reality that, even out of 200 million of us, no single person is qualified enough, or competent enough, or strong enough, or self-anointed enough to pose as our saviour. Time counsels us that a political concession is not a capitulation, collaboration does not need the spur of coercion, and that the public’s expectations are not illegitimate demands. Ambrose Bierce once defined a year as 365 disappointments. Mr Bajpai in India endured 32,850 of them. In Pakistan, we have suffered only 25,915 of them. But we are rapidly catching up.